BC Hydro is providing free energy efficient upgrades. Looking for ways to conserve energy and lower the cost of bills? Currently BC Hydro is providing energy efficient upgrades free of cost to eligible affordable housing residents, tenants and housing providers in BC. The Energy Conservation Assistance Program (ECAP) will provide qualified low-income BC Hydro residential account holders with a home energy evaluation, the installation of energy saving products, and personalized energy efficiency advice. For more information visit the BC Hydro website at: http://www.bchydro.com/ecap or contact Emily at Eaga Canada, the company that is delivering the program to Vancouver Island residents on behalf of BC Hydro: at 1-877-806-3242, or Emily@eaga.ca. Click here to find out more about BCSA Summer camps. Happening from July 12th – August 18th 10am-12:30pm Tuesday-Thursday. Join us on June 28th for a Community BBQ Sports Day. At 3 pm the games will begin, wheelbarrow races, egg relays and more. At 5pm Rick and Sid will be serving burgers off the BBQ. 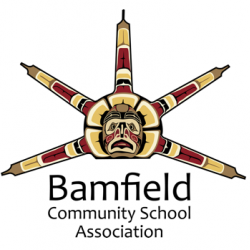 The Bamfield Community School Association is accepting applications for summer 2011. Click on the link to see detailed job postings. Please send resumes to bcsa.ct@gmail.com or mail to 240 Nuthatch Rd, Bamfield, BC V0R1BO. Sunday May 15th 11:00 am at the home of Steve Clarke and Nancy Hendry. Steve and Nancy have kindly offered to host this meeting as a brunch. The meeting is open to all, but we ask that you RSVP to Steve and Nancy in a timely fashion. Follow the link to download a free pdf copy of the Oysters, Authors & Ale poster. The BCSA’s website is back! Please take the time to explore the site and all that it has to offer. As a parting gift to the BCSA Mary-Beth Thompson, our CAP Youth Intern from December 2010 – April 2011, has given the BCSA website a fresh face. Mary-Beth deeply enjoyed her time in Bamfield, particularly getting to know the community, enjoying the beautiful scenery and soaking up the good cheer of the residents. While she is excited by what awaits her beyond the long gravel road, she looks forward to future visits!